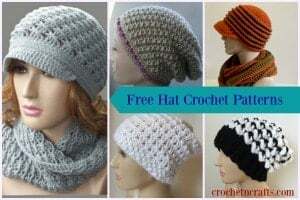 The prickstitch is basically a variation of the backstitch. It is used to keep facings or linings from showing on the right of the garment. It can also be used to reinforce seams, or just to add some decorative stitches along the seamline. 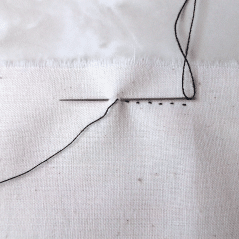 To make the prickstitch bring the needle and thread through to one side of the fabric. Insert the needle about one or two fabric threads back (to the right of) where the thread came out. Bring the needle forward (to the left) on the back side, and through the fabric a short distance in front of where the thread came out. The top stitches will look like small pricks, while the bottom stitches will be longer stitches.